Every man dreams of feting with the most beautiful women. Every girl dreams of being the hottest, best dressed and most outstanding woman in fete. And nothing is more exciting than "the chase" - the flirtatious and fiery dance of interest and energy between men and women partying together under the influence of mixed drinks and low lights. Skinny Fabulous' crisp voice brings this all to life on this Soca / EDM production. 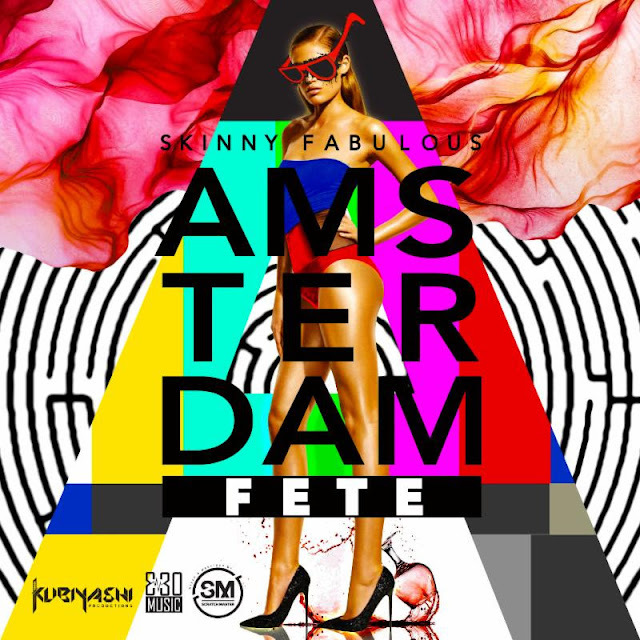 "Amsterdam (Fete)" fulfils the fantasy of an ultimate party where every woman IS a supermodel and the men are willingly at their beck and call. With that said, who wouldn't want to party in Amsterdam?? Amsterdam (Fete) was produced by Kubiyashi and Nauwshaad Abdoelgafoer of 330 Music - a production house out of Holland.